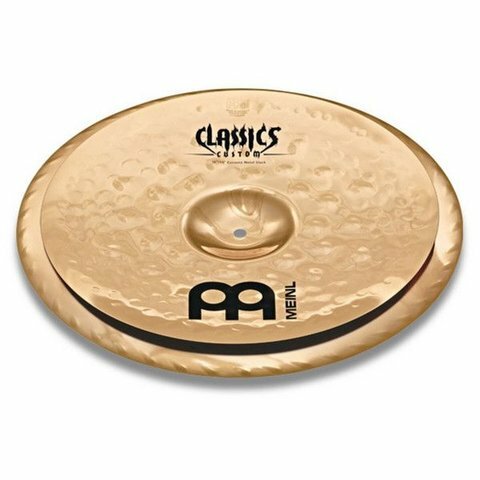 Exceptional big-sized stack cymbal with a very aggressive cutting sound and an extremely short sustain. Perfect for short and penetrating accents that need to be heard. Brutally loud and intense, Classics Custom Extreme Metal models are totally effective when it comes to projecting through the loudest and most aggressive music there is. With jumbo-sized hammering and bristling tone, these brilliant finish cymbals deliver their potent mix of clarity and cut with ear-splitting power.